Ships tomorrow if you order in the next 23 hours 33 minutes. Auto Ship & Earn + 114 Points What's this? 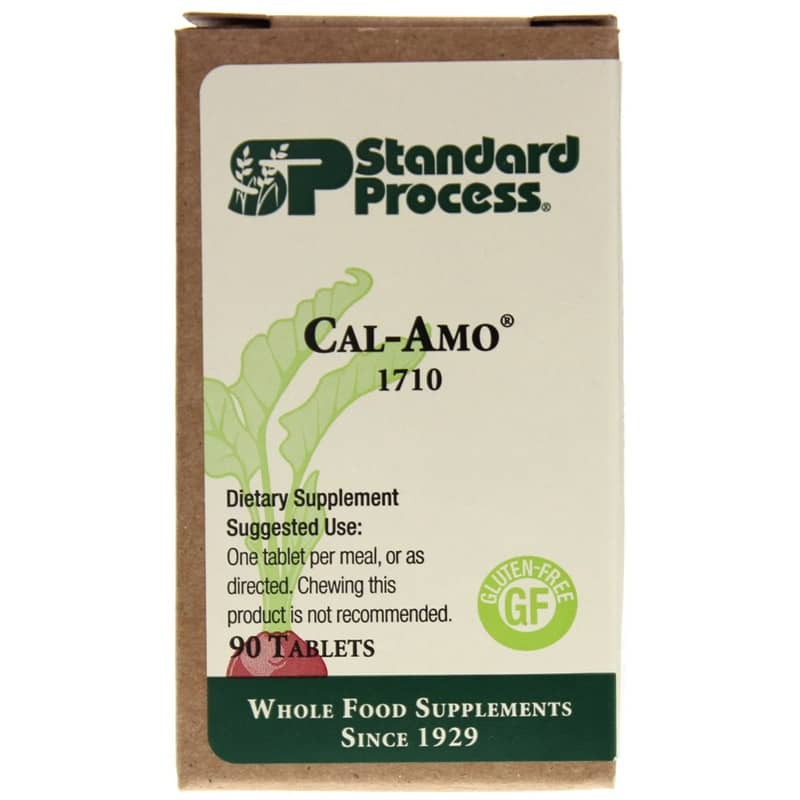 Cal-Amo by Standard Process is a natural supplement for supporting normal cellular pH. Ingredients: Ammonium chloride, betaine hydrochloride, calcium chloride, calcium lactate, magnesium citrate, and calcium stearate. 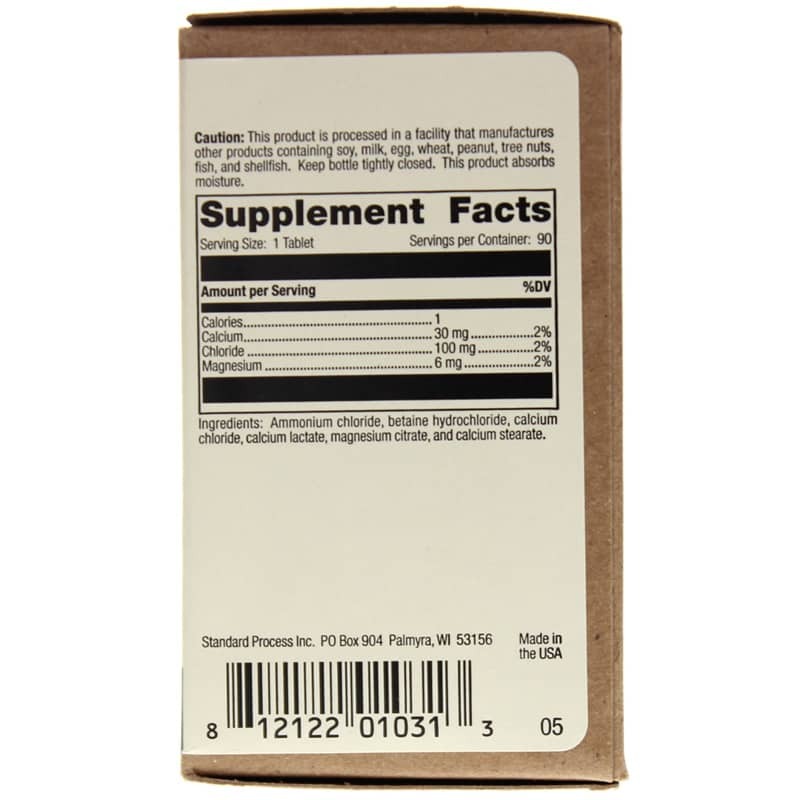 Adults: One tablet per meal, or as directed. Chewing this product is not recommended.